Getting out of Naples early in the morning is not easy. Traffic is intense: bumper to bumper around the mountain roads leading out of the city, and through long, dark tunnels. By far the best way to get out is by scooter, rather than car. And that’s how Germano Albano of Scafora took me one morning a couple of weeks ago: sitting on the back of his bike, small helmet clamped on my head, zooming in and out of the traffic. I’ve spent 15 years cycling around central London; I’m used to zipping between cars and lorries. But never at this speed. Never on a four-lane motorway. 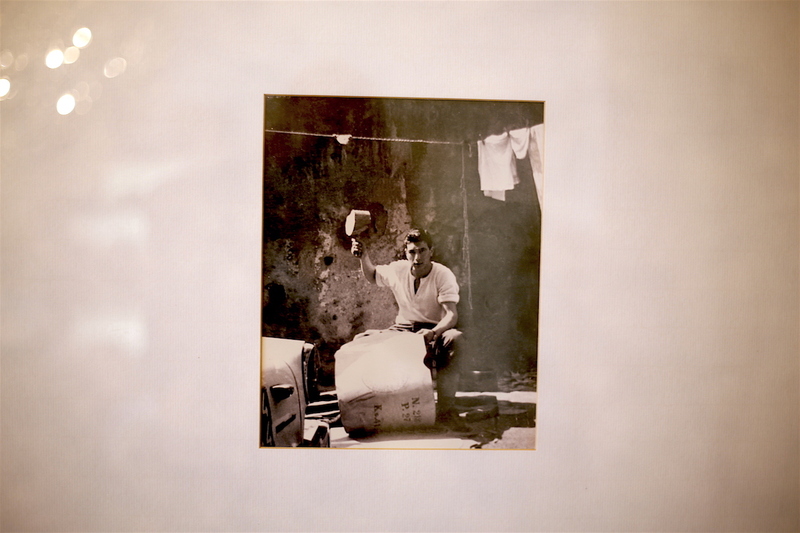 When I arrived at the Scafora factory, the welcome came with the glorious relief of air conditioning, ice-cold water, and sweet Neapolitan coffee. 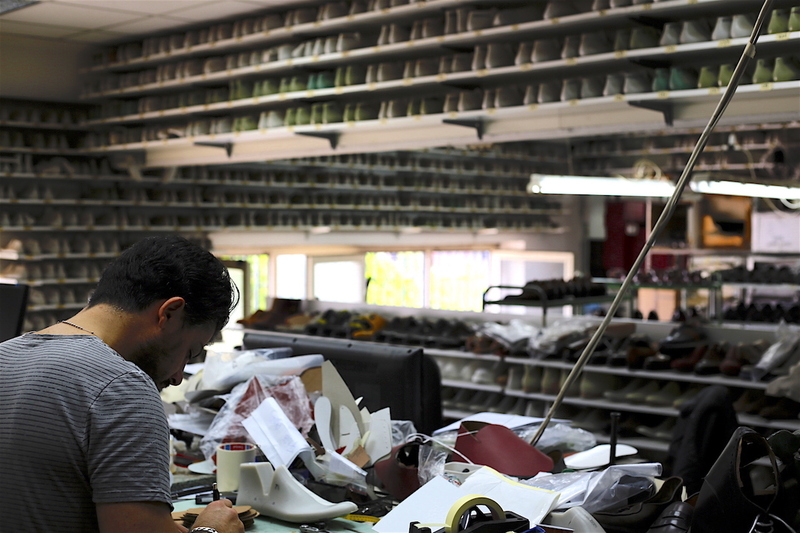 And some simply beautiful shoemaking. Over time, you gradually realise how unusual and bifurcated the English shoemaking industry is. 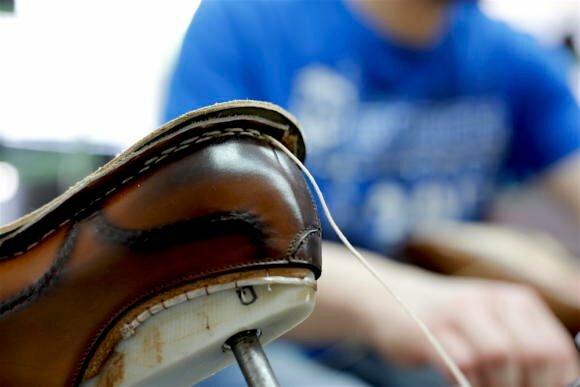 On the one side, great Goodyear-welted RTW shoes around Northampton; and on the other, hand-sewn bespoke shoes in London and a few other cities. Italy is not like that. There are still the traditional bespoke houses, like the English, but many of the factories offer a hand-sewn as well as machine-sewn product, do patina and hand-dying work, and have a small bespoke service. We saw a bit of this at Enzo Bonafe, which I visited last October. Scafora is similar, but with an even greater range of work. One of the reasons the Italian industry is like this is that much of their work is for designer brands. There are more big menswear brands in Italy, and more of them want to offer a distinct, high-end product. Around 70% of Scafora’s output is for other brands, with one large Italian designer (which will go unnamed) accounting for much of it. 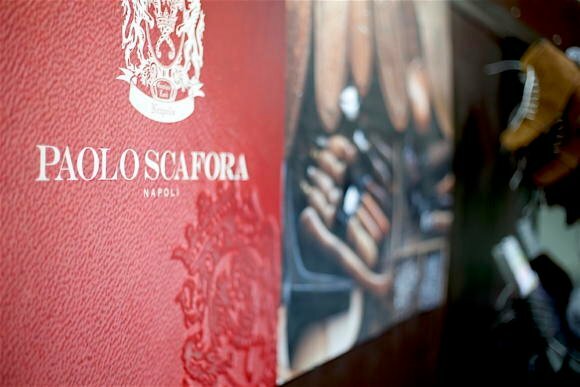 The high-end work at Scafora is relatively new, though. 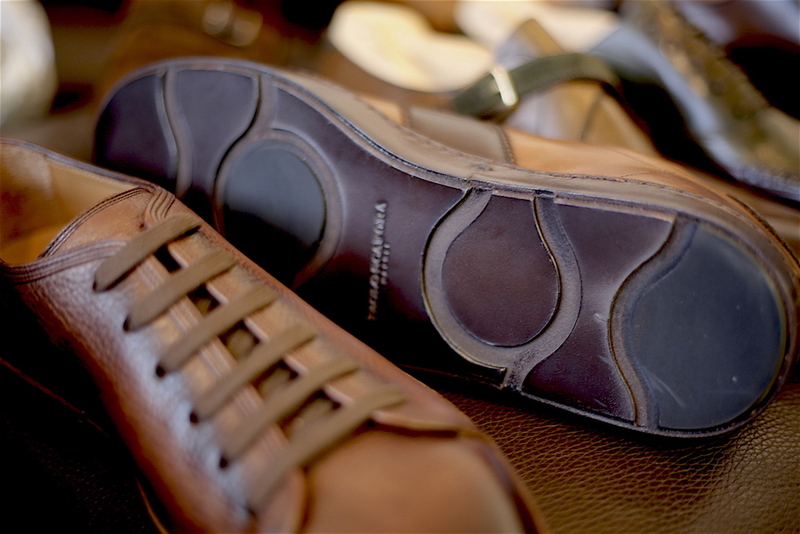 The family has been making shoes for three generations, but it was only 10 years ago that Paolo Scafora decided to up the quality of the product, adding hand-sewing. They also own a sole-making factory, and the picture above is of the founder Paolo Scafora, pounding away at some sole leather. 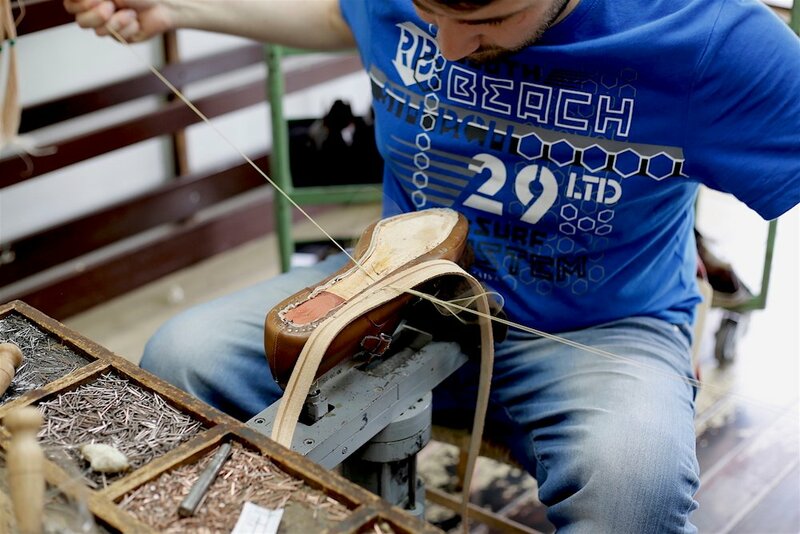 Most Scafora shoes now have a hand-sewn welt, which you can see being done above. They also often feature various complicated stitches, such as a Norwegian welt. An elongated, square-toed Norwegian style (below) is probably Scafora’s best-known model. The welt is available both all the way round the shoe, and finishing at the heel (half Norwegian). Equally as interesting is seeing the hand dying that takes place on most Scafora shoes. A light-coloured, often white leather is first of all coated in a dye using a sponge (shown below). This is left to dry for 24 hours, before a second layer of dye is added. Often this will be black, to add depth to the brown in the first layer. Once that second layer is dry, the finishers start adding layers of polish. I have a pair of Ercolano oxfords (below) from Scafora. 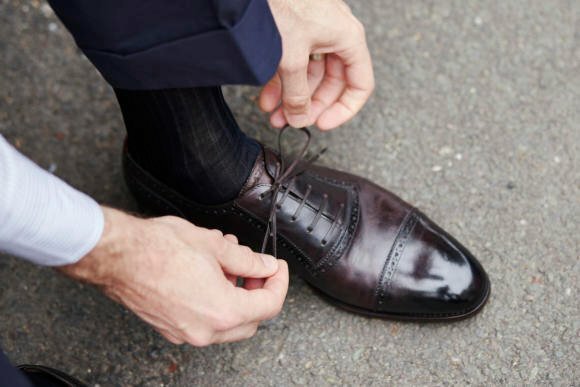 The last shape is sleek but subtle, the hand sewing creates an elegant, narrow welt, and the widening of the broguing around the laces is a nice style point. However, rather like my Saint Crispin’s, I have found that hand dyeing on crust leather means the colour fades a little quicker than other shoes, particularly across the vamp. This just means they need a little more polish over time, and it does mean they get a great, antique look very quickly. But it’s worth being aware of. Back in the factory, an impressive technique is the painting of the soles, with dye applied in just two smooth strokes from the waist out over the edges (below). The same technique is used to paint a ‘false’ wingtip on the top of some shoe designs - which must take a very steady hand. 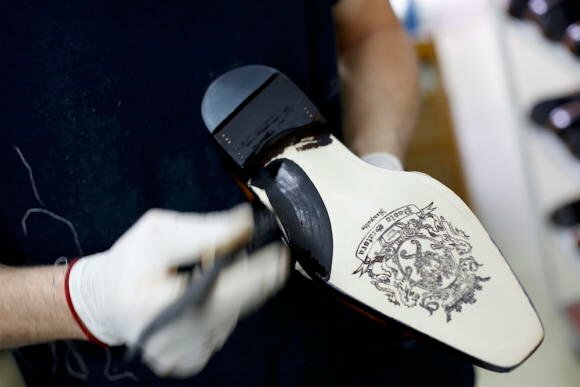 Scafora is also one of the few brands that likes to stamp a big, branded logo on the sole of the shoe. This might seem a bit showy to some people, but it does quickly wear down, as you can see on my sole. 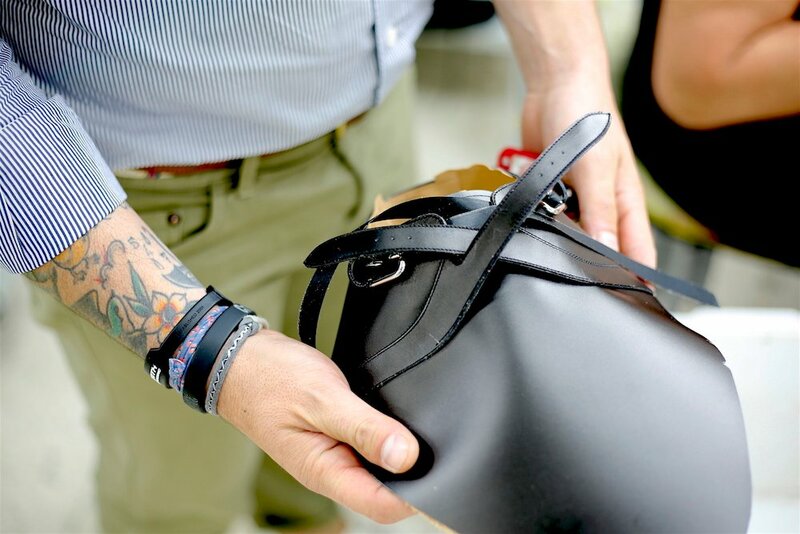 Paolo also likes branding and identity across the things that come with the shoes - the shoe boxes are thick cardboard with deep-brown bags and tissue, and the shoe trees are lightweight and partly hollowed out. He also offers a custom and MTO process, largely through those visits. 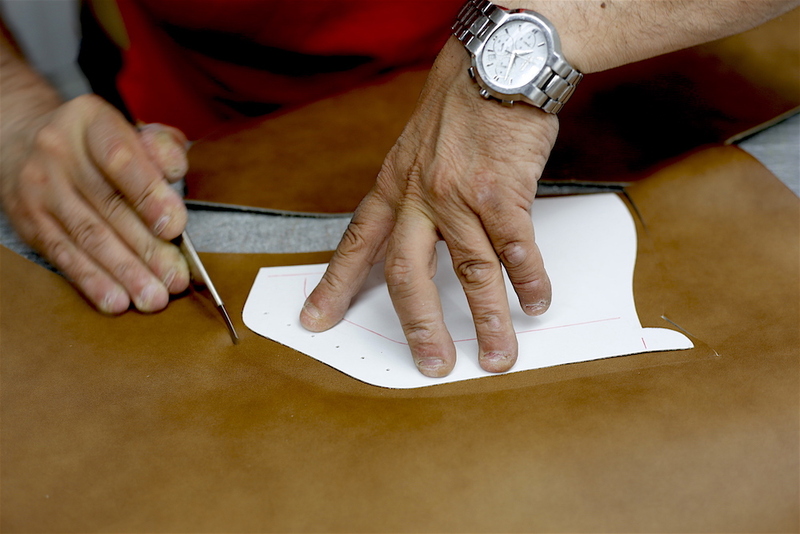 MTO allows the customer to pick leather, design, size, width, last etc, while custom enables them also to amend the last for a slightly better fit (though still not on the level of bespoke). The mezzanine of the factory, where the hand sewing also takes place, has bespoke lasts running all the way around the eaves (above - in plastic rather than wood). Next door is the showroom, and here we see the full breadth of the range mentioned earlier. 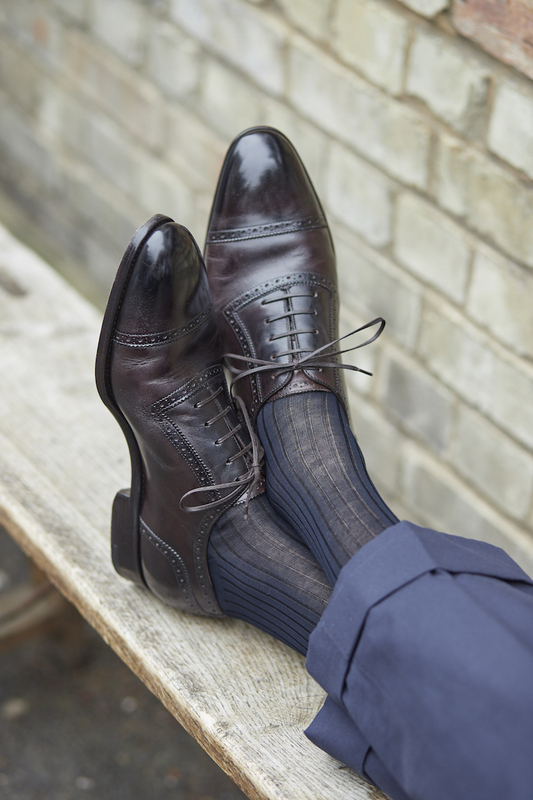 Alongside some fairly distinctive lace-ups are unusual designs like an overlapping double monk (below), exotic skins like shark (tough but surprisingly soft), and several sole constructions that run to some very soft, flexible styles. Scafora also offer trainers, hand painted and in a variety of leathers. Interestingly, they do a sole on some designs that has a leather strip running around the outside (which looks just like rubber) and a leather sole in the same look, with rubber inserts for extra grip (below). 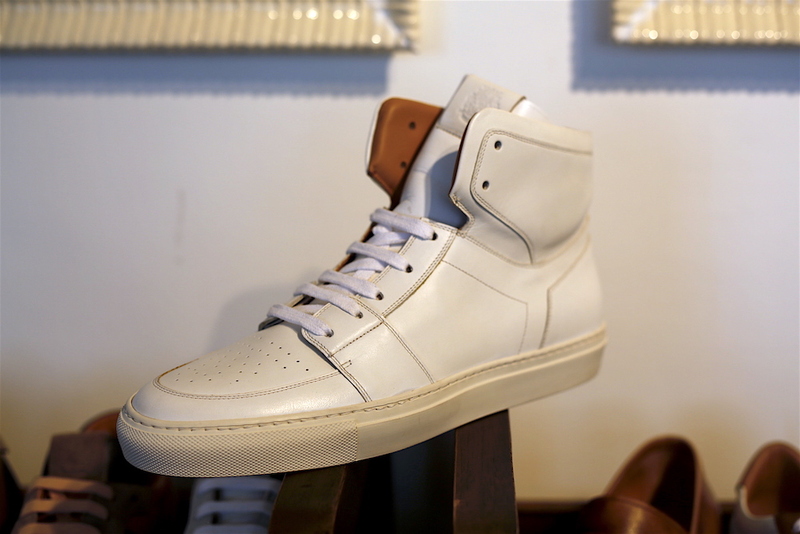 When used on a high-top like the white leather below, it makes for a style that looks just like an old court shoe, but with hugely superior materials and make. It might be this excellence and range of design that are the best guarantees of Scafora’s popularity. They can make almost anything in any leather, and have a sense of style that is often lacking in similar multi-generation factories. I saw at least two models - one of the sneakers and a loafer - that I would love to add to the Ercolanos I already own. Fortunately, I was spared a scooter ride back into Naples, and was dropped at Frattamaggiore train station, which is a couple of short stops into the city. Sitting on the platform, the weather hot but with a welcome breeze, my Ercolanos got a few approving glances from the young guys on neighbouring benches - and even one thumbs up. A nice seal to a highly enjoyable morning. Many thanks to Germano, Paolo and the rest of the Scafora family for their welcome and hospitality. 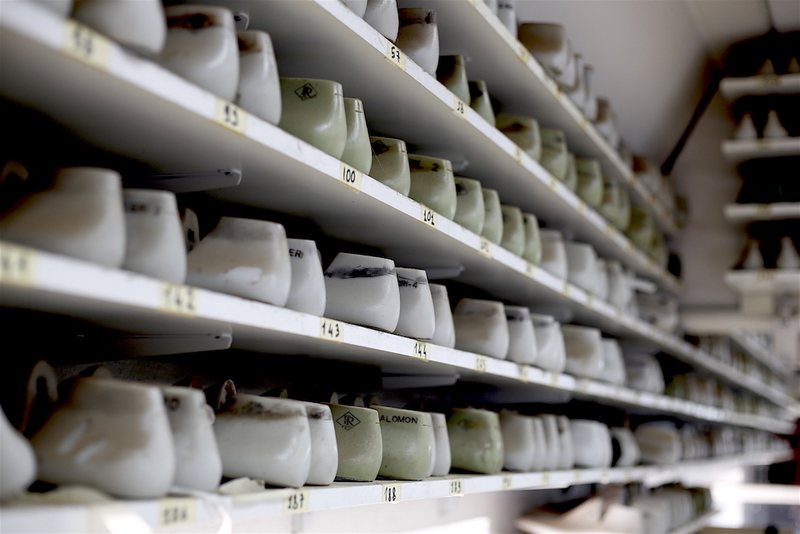 You can follow the discussion on Paolo Scafora handmade shoes – Factory visit, Naples by entering your email address in the box below. You will then receive an email every time a new comment is added. These will also contain a link to a page where you can stop the alerts, and remove all of your related data from the site. Just wanted to ask, is there anywhere in london to try them on? And what price is the custom and rtw? Are your shoes a dark burgundy? Or a dark brown? Hard for me to tell in the photos. The crocodile loafers shown here looks absolutely amazing. Perhaps a bit ostentatious to wear, but nonetheless beautiful. You mention Knize in the list of stockists. It reminded me that you once wrote that you had a few recommendations for Vienna. Probably not enough for a city guide and I guess there aren´t that many readers in Austria, but some others might come to visit, so I would not be the only one grateful for some tips. Many,many years ago the FT How To Spend It column described Italian shoes as desirable but fairweather friends.In other words they were not robust enough to survive heavy rain or worse.My own limited experience albeit with Moreschi moccasins would bear out that conclusion.As soon as a little rain fell on the mocs they began to feel wet.What is your experience? Beautiful shoes Simon. 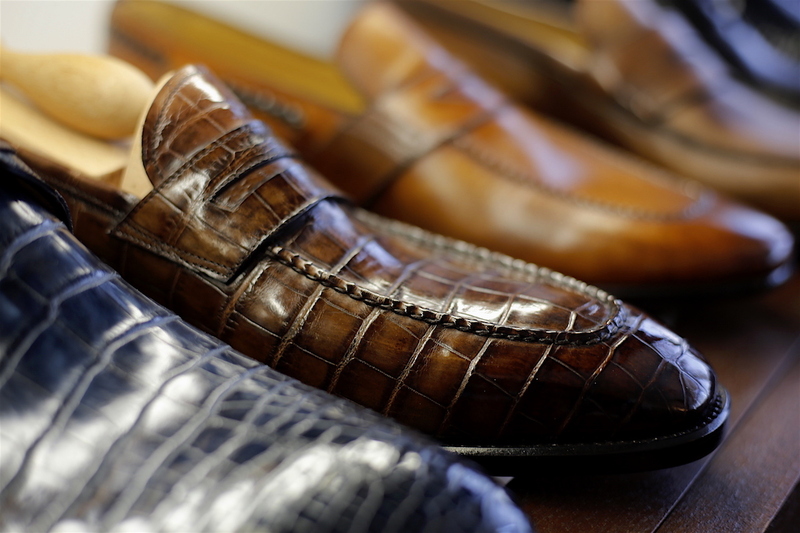 How does the quality compare to say say Crocketts, EG or Gaziano? Also do you ever double knot the laces? Thanks for this broder view report. This would be a follow up on the comment you just made. I wonder whether it wouldn’t be a good idea to add to your forthcoming post on hand welted vs GY shoes, which I’m really looking forward to reading, any thought on what style means to shoesmakers, British as well Continental? To me, the Japanese being devided beetween British and Italian senses of style. Perhaps that time around just a quick overview as an introduction to an interesting topic to your readers, who themselves are rather rougthly devided into these two camps. I think you belong to an eclectic one. Such an introduction could then lead up to a sponsored event with makers from all sides – this time including Americans and the French – who primarly deserve to be heard. My sole clue at this moment is that they focus differently on what makes “good shoes”. And since PS has also become a platform that offers opportunities to view videos of events it may be worth further exploring such a project. Notwithstanding PS itself, you happen to belong to the few who thanks to experience could somewhat speak authoritatively on this topic. Obviously, you might well have a personal stake, aesthetic or whatever, which of course you could state. At least it would help us PS readers figure out whenever you display an aesthetic bent. Thank you for the great article. I’ve been a client of Paolo Scafora’s bespoke service for about a decade. The quality is superb and they’re always keen to try new ideas a client might have. They’re currently executing a new style of summer loafer for me that we designed together. The best part of the experience is interfacing with their warm and professional team. In a short period of time you will discover that they’re not only cordwainers, they are friends that make you exquisite shoes. Enjoy your shoes Simon. Yes, it’s a slightly extreme style point, but I do like it. Used for two pairs of bespoke pairs both of which turned out to be terrible in their own way – the loafer fit quite poorly and hurt around the toes and ankle – the boots were interesting as Paolo never managed to get my foot into the trial shoe. After the second such fitting, both of us decided to move on. The loafers ended up with a charity where hopefully they found someone for whom the shoes fit better than me. It is funny, but the polarization of society is continuing in so many different levels, and phases…almost everyone is headed to a “lowest common denominator” (so many offices, banks, etc., have people in causal wear, even branded polo shirts as a standard, scant years ago, they would all be in suits), and yet the pinnacle seems to be getting higher, and higher, even as it moves towards an ever shrinking percentage of the market….. When selecting anything of quality, one is almost assuredly doing it only for oneself, it seems.. 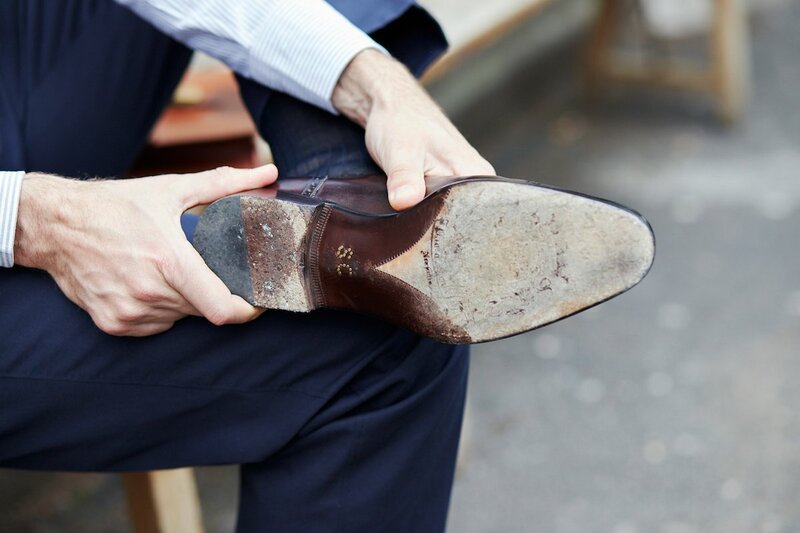 I need a new pair of boots and am looking at the John Lobb Alder model. Do you know of anything comparable that I should take into consideration ? It was a question ? Hi David – sorry, no I don’t really know this category well enough to offer good advice. As someone who has never had a custom pair of shoes made for his feet, I’d like some help understanding the “health benefits” – if any. I understand that custom shoes fit better than anything else RTW (if done properly), but are they actually good for your feet, your arches, and your back, or are they (potentially) just as torturous as RTW? Writing, like great art requires much more than knowledge and education. A great writer is born as opposed to “”made”” and you are a great writer. This is excellent content and interesting information. Thank you. Do you remember the exact name of the colour you got? I’m ordering a pair of MTO but it’s hard to make a decision based on small swatches online. Cheers. Hey Simon, big fan of your blog! I don’t dress up much as I wear scrubs for work but would like to get my first and only high quality shoe. I’m in my mid 30s and would be wearing mostly with jeans and a shirt a few times a month and occasionally with slacks or a blue suit. That beiing said I think tan/conac work best with jeans? I like cap toes and I think Italian but certainly not married to that as I would love any advice you can give me as most people are looking to dress up their shoes and im looking to dress down. My price point I think would be up to maybe $1200 if that’s where I need to be but would hope to spend closer to 500. I’m lost HELP! If you want to be able to wear the shoe with this range of clothes, I recommend a dark brown leather. Tan/cognac would be nice with jeans, but not with any suit save a pale grey or something similarly light in colour. So a dark-brown cap toe would be good, and very versatile. In terms of brands, I’d recommend the English makers like Crockett & Jones or Edward Green, which are great shoes and good value. And if it’s your first good shoe, I’d start with something slightly cheaper like Crockett & Jones. American makers like Alden and Allen Edmonds are also good, but tend to be a little chunkier, and if you’re already tending towards Italian, they might not be for you. The only issue with those English makers is they might be a little more expensive over in the US. Perhaps worth looking at the Carmina and Armoury options carried by The Armoury in New York – they’re two good price points and you’ll get good service and advice.